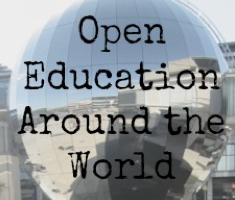 It’s been a while since we had an Open Education around the World so I’m really excited to be able to publish one the activities of the local Open Education working group of Open Knowledge Finland. 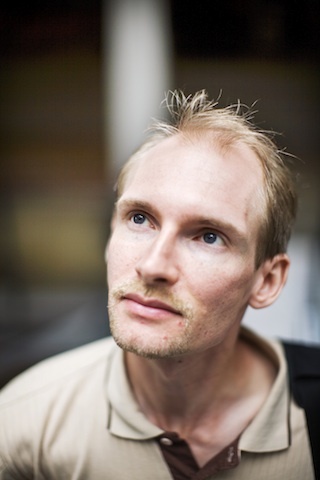 Tarmo Toikkanen has written the post for us and is a a researcher of education and technology at Aalto University’s Media Lab. He’s also a teacher trainer, a teacher, a published author on copyright and Creative Commons licenses, and actively working for Open Knowledge Finland, Creative Commons Finland and Wikimedia Finland. 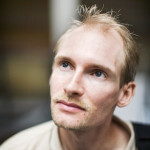 Tarmo writes on his blog. Finland is probably mostly known for Nokia phones and its great educational system. PISA and other international evaluations have always placed Finland in the top 5 of all the world’s countries in terms of learning outcomes. Even though Finnish school children have shorter days and less homework than anywhere else, and children start school at age 7, 1-2 years later than the usual starting age elsewhere. So we’re doing something right. Much of the Finnish school’s success stems from the major overhaul of the system in the 1960s. But as the world is changing, old methods are not as apt as they used to be. We do realize that other countries have been developing their educational systems rapidly while Finland has been content with what we have. When the latest PISA results showed Finland not in the first position, but third, that was a wake-up call to many: we’re losing our advantage. Something needs to be done. Opening up education is one approach to improving education. This includes open educational resources, open participatory teaching culture, connecting schools to society, and making students active cretors of their own learning and their futures. Open Knowledge Finland is a chapter of Open Knowledge, founded at the end of 2012. 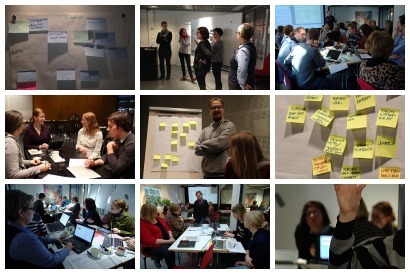 After less than two years, OKFFI has established itself as an active component of the Finnish society, being involved in governmental open data, open democracy development, and many other fields. 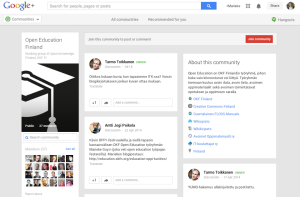 The Open Education Working Group of Open Knowledge Finland is just getting organized. Many key people are already active in this area through other agencies. We have people creating openly licensed school books and other books in booksprints, we have people advocating CC licenses and open content to schools and teachers, we have our own Finnish Wikiversity and Wikibooks in active use, we have a long history of networked collaboration between educational institutes, and so on. More information about the working group is available from the Open Knowledge Finland website. Open Knowledge Finland is organizing several training activities under the brand “School of Data“. The group has trained both GLAM and public sector entities in opening their data. 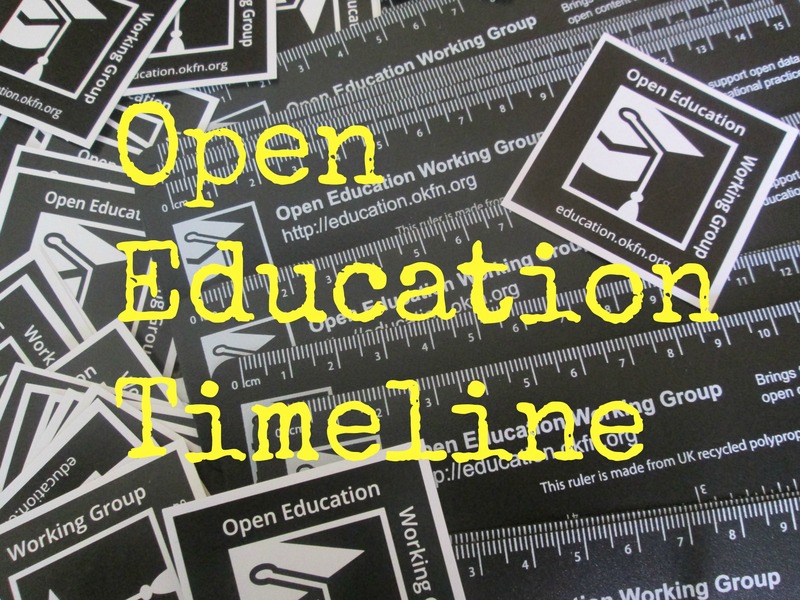 The first iteration of this course is nearly complete, and the Open Education working group plans to create an online self-study course with materials for anyone to use during summer 2014. This will be a comprehensive guide to open data form the point-of-view of both publishers and utilizers. The material will most likely be also translated into English, and available as a MOOC style offering. Other groups within Open Knowledge Finland are also organizing courses, and all these are collected under the same Data School brand. Courses include topics such as open decision making and hands-on hackathons. The Network of Educational Institutions for Open Data is another loose group operating within Open Knowledge Finland, looking at open data from both educational and academic points of view. 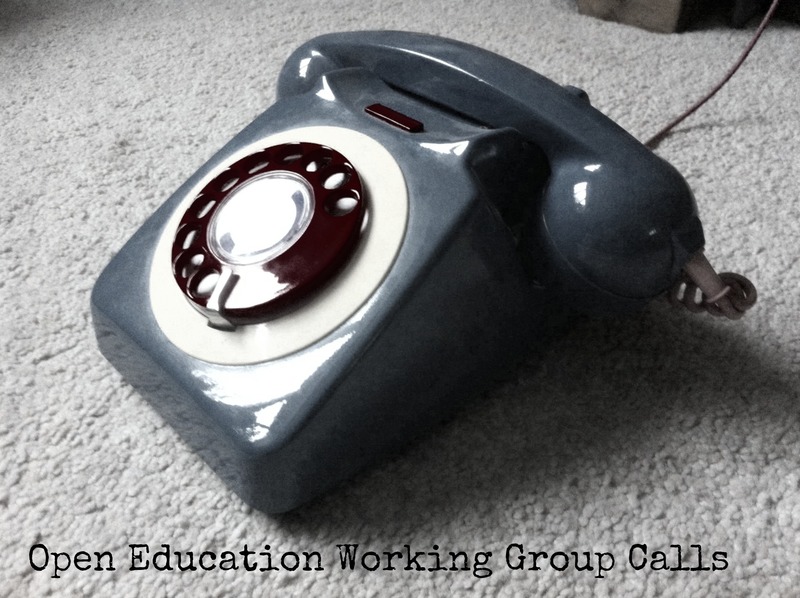 The Open Education working group has applied for funding to explore new ways of content authoring, including booksprints, editathons, and codesign workshops. Our aim is to adapt these authoring models to the Finnish context and produce a practical guide for others to follow in organizing productive authoring sessions using these nontraditional techniques. The working group, through some of its member organizations, already is involved in copyright and open license training of educational institutions. Our goals for the coming school year is to find 3-6 schools that would be interested in becoming the leaders in OER use and authoring, and also in establishing a set of guidelines for their teachers to easily navigate the currently fuzzy copyright-minefield that is the online content and its use in education. The Finnish copyright law is unfortunately very outdated and in some ways absurd (for example, video content is not allowed in schools). We are of course involved in policy making, advocating for corrections to the current copyright legislation.